Astrology to find a holiday destination! It is funny that just as spring makes an appearance that we start dreaming of summer, and more specifically summer holidays. Many of us will take the month of April to begin the process of deciding where to go on summer break. Of course, there are many factors to consider like weather, activities, entertainment for children, to price. But have you ever thought that there may be another way to decide on a destination – using Astrology as a guide! Aries like going on annual holidays, and time together with their families. They appreciate nature, and so active outdoor vacations suit. They want a period of time where they can enjoy sports like cycling, running, climbing sandwiched between downtime that offers things like picnics and barbeques. Holidays are a time when Aries is happy to let out its inner-child, so they will be happy to partake in games and having silly fun. Aries will spare no expense to have a good time. Consider: North America, UK and hilly locations in France & Italy. 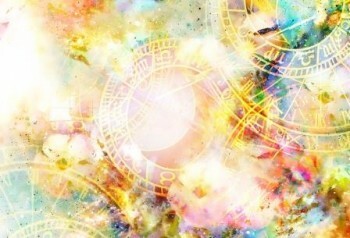 Taurus signs like familiarity, so won’t mind going back to a previous destination time and again. They don’t like too much physical exertion on holiday, they want to unwind and truly relax. Being comfortable is a high priority, as is having access to lovely dining options. They won’t mind doing a bit of meandering on holiday, think landscaped gardens, antique shops, art and sculpture opportunities. Shopping is also high on their list, they are generous, so keep an eye on luggage allowances! Consider: Turkey, Spain, Cyprus or the Greek Islands. Geminis like luxury, but love a stimulating holiday with plenty of opportunities to meet new people, and a party or two would not go amiss! If you want them to sit still, you will have to give them a reason to do so. They like to be entertained and will want to keep their travelling companions amused, so expect to go everywhere at 100 miles an hour. They like to travel light, so they can go where the experience will take them. Guided holiday tours or even cruises can satisfy their need to have a packed itinerary and meet like-minded people. Consider: City breaks in places like Sardinia, Belgium, London and New York. Cancer seeks a tranquil holiday, they want to enjoy some privacy and quiet time with their family. As a water sign, being close to water will make their destination even more perfect. They often like activities that focus on the water from swimming, fishing, diving to sailing. They also like to immerse themselves in local culture, visiting markets, art exhibitions and local restaurants. Shorter holidays often suit them more, as before long they are missing home. Consider: Venice, Amsterdam, Lake District, Canada or even the Caribbean. Leos do like glamour and luxury, but the success of the holiday will lie in them being in the centre of the action, with plenty of culture and arts. They also like a lot of good dining options and places of entertainment like the theatre. They will want plenty of notice, so they have time to plan and shop for appropriate outfits. The travel method (avoiding economy if at all possible), and accommodation selection (4* and upwards), will be a major factor in the success of the holiday – but Leo will happily pay for these upgrades. Warm destinations are favoured. Consider: Paris, Barcelona, Rome and the French Riviera. Virgos like to research a holiday well, they are methodical by nature and like a well-planned trip, to ensure they see and do everything they want. They like spas, and other healthful activities like walking and yoga, so a retreat type holiday could suit. They will happily catch up on their reading, and like to observe and even learn new crafts. If a concert or theatre trip was included, that would be icing on the cake. Consider: Switzerland, Germany or the Eastern Mediterranean. Librans are of course romantic, and so like nothing more than a holiday with their partner, but equally are happy to travel with a group of close friends. They like their home comforts, so a holiday that provides a home away from home will suit best. They like beautiful landscapes, art, culture and good food. A holiday that provides a balance between activity and relaxing works well. Consider: French or Austrian alps, China, Vienna or even Hawaii. Scorpios often do better when travelling alone, they are explorers and are drawn to exotic locations that offer plenty of opportunities to investigate and discover new things. An element of sport or thrill-seeking activity like snorkelling, white water rafting – or anything with a competitive element would be perfect. If they travel with others, short city breaks with plenty to see and do would work best. Consider: South Africa, Tibet, Norway or Morocco. Holidays with space and much to explore is the way to a Sagittarians heart, they want freedom and an ability to experience as much as possible. Self-driving holidays would be perfect allowing Sag to stop when wanted and cover as much ground as possible. They will be happy if some outdoor pursuits and sporting activity are included, but equally don’t want to miss out on culture, they like to really get under the skin of the place they are visiting. Consider: America, Australia and India. Capricorns don’t necessarily see holidays as a way to relax, but an opportunity for exploration, possibly in challenging environments. As such they may well suit organised holidays with an end goal, such as a mountain climb. If they are not doing a tour, then you can expect them to plan out their adventure well in advance, most likely to include some walking/climbing, local history, reading and museum visits. Consider: UK, Mexico, Pompeii or Athens. Aquarians are free-spirited beings, and like unique and often quirky holidays that go with their personality. They will often go where others have not heard of, or thought of as a holiday destination. They are casual travellers, and are not afraid to backpack where necessary, and will pick up local knowledge as they go, making friends easily. A sunbathing holiday would be a disaster for them – its all about the adventure. Consider: Russia, Poland, Croatia or Scandinavia. The Pisces star sign are the ultimate dreamers, and so spending their holidays somewhere they can relax and soak up the atmosphere is heaven to them. As water signs, coastlines are really attractive to them. Holidays that are special, magical and romantic are Pisces dream, think some water sports, some time alone, some culture – like a ballet or photography exhibit and a touch of luxury – and you’ve got it made. Consider: Cornwall, the Algarve, the Maldives or Vancouver Island.